The Hatfield Practice has provided solutions for pain and sciatica since 1988. Our aim to provide you with effective and affordable treatments. Please feel free to give us a call on Hatfield 01707 888229 and we will do our best to help you. 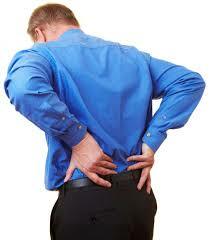 The term Sciatica describes the leg pain that runs down the buttock and back of the leg. The Sciatic nerve runs from the lower back, through the buttock and into the leg, foot and toes. Sciatica can be a small moderate pains to extreme nerve pain down the leg making movements very painful to the point where complete simple tasks. Symptoms may include pain,aching, numbness, stiffness, pulling, pins and needles. Typically intense consistent pain in one side of the leg but can be both. Patients often describe sciatica as tingling or burning and fucused points of pain. After severe sciatics you may get weakness in the foot followed by difficulty to move the leg due to nerve tension. Symptoms consist of trigger points (painful spots) in the hamstring muscles. Sitting down can aggravate the disc/ sciatic symptoms. Pain can also be a pain in the buttock, upper thigh and behind the knee. The pain distribution is often follows the path of the sciatic nerve, patients are often misdiagnosed as having sciatica due to the many ways it can present. Your Osteopath, Physiotherapist or Acupuncturist will diagnose sciatica by taking a full medical history and by testing your back, hips, and legs for strength, flexibility, sensation, and reflexes. If you are in extreme pain we will probably treat you with Acupuncture first to calm the nerve. The Osteopath uses techniques to mobilise the spine (taking pressure off the damaged disc. Physiotherapy will provide treatments and exercises to strengthen your spine and associated muscles. In some cases if they do not respond quickly to treatment ( Most do) it may be necessary to get an MRI scan of your back to show whether or not there is a specific disc injury pressing on a nerve . Your osteopath will discuss this with you. X-Rays are of no help in this condition because they only show the bones and not the soft tissues (disc) that cause this sort of trouble. Gently articulating the affected joints. We can offer £10 off your first professional consultation for Osteopathy, Acupuncture and Physiotherapy now just £32. Click here to find out our 2015/2016 price list and current special offers. Our deep tissue massages are still brilliant value at £39.00 for a full hour. Can I speak to anyone? Yes! There is always somebody on hand to provide free telephone advice and support by calling The Hatfield Practice reception on 01707 888229. You are more than welcome to speak to any of our practitioners. Further to this, our e-mail info@thehatfieldpractice.com is monitored around the clock to provide assistance with any queries. Emergency number is our Lead practitioner Ian Norman 07590924266. We have been in practice since 1988. It is understood that your visit to the Hatfield Practice may always not be an easy one. Pain can lead to further worry. We will do our best to help you and explain your symptoms. We work our best to ensure your in-practice experience is one to remember.. but don’t just take our word for it, we have over 100 reviews on freeindex and Google. I was on the point of cancelling my two week holiday due to severe sciatic pain when I went I went to the Hatfield Practice. I had acupuncture from Helen and Osteo massage from Marcella and two days later went on my holiday Pain Free. I cannot thank them enough. Such a helpful article, thanks! I´d recommend to take a look at the study ‘Osteopathic treatment of low back pain and sciatica caused by disc prolapse’, which represents the results of 20 years of treating disc prolapse with Osteopathic techniques. Another way to explain how Osteopathy works.